Surrounded by breathtaking scenery the Auld Dairy Cottage offers the ultimate luxurious relaxing, stress free self catering holiday with all our creature comforts. The Auld Dairy Cottage is situated just outside the most southern village in Scotland, Drummore. 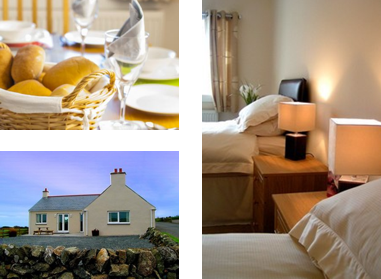 The cottage provides quality accommodation with picturesque views overlooking Luce Bay and the Galloway Hills. The Auld Dairy luxury holiday cottage provides excellent family accommodation in one of the most unspoiled areas in Scotland. The village of Drummore is approximately a miles drive from the cottage.